Deirdre O’Connor is Professor Kenny’s Academic PA with responsibilities in managing Professor Kenny’s schedule and conducting research in food and nutrition for TILDA. Deirdre graduated from University College Cork with a B.Sc. in Nutritional Sciences in 2010 and was awarded a Masters of Public Health Nutrition from University College Dublin in 2011. Deirdre is a Registered Nutritionist (RNutr) with the Association for Nutrition in the UK and she is a member of the Nutrition Society in Ireland. Prior to joining TILDA, Deirdre was a Consultant Technical Executive with the Food Safety Authority of Ireland, where she consulted on the Calories in Menus in Ireland Initiative. Deirdre has also worked with the HRB Centre for Primary Care Research, RCSI, and the UCD School of Public Health. 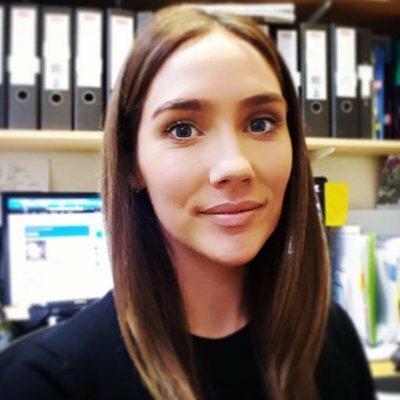 Her research interests include nutritional status in older populations, diet quality assessment methods and the relationship between obesity and chronic disease and diet-type. Laird, L, O'Halloran AM, Carey, D, Healy, M, O'Connor, D. Moore, PV. Shannon, T. Molloy, AM. Kenny, RA. The prevalence of vitamin D deficiency and the determinants of 25(OH)D concentration in older Irish adults: Data from The Irish Longitudinal Study on Ageing (TILDA). The Journals of Gerontology: Series A. [In Press]. O'Connor, D. Leahy, S. McGarrigle, C. (2017). Consumpion Patterns and Adherence to the Food Pyramid. In McGarrigle, C. Donoghue, O. Scarlett, S. Kenny, R.A. (eds. ), Health and wellbeing: active ageing for older adults in Ireland. Evidence from The Irish Longitudinal Study on Ageing (pp. 76-97). Dublin: The Irish Longitudinal Study on Ageing.